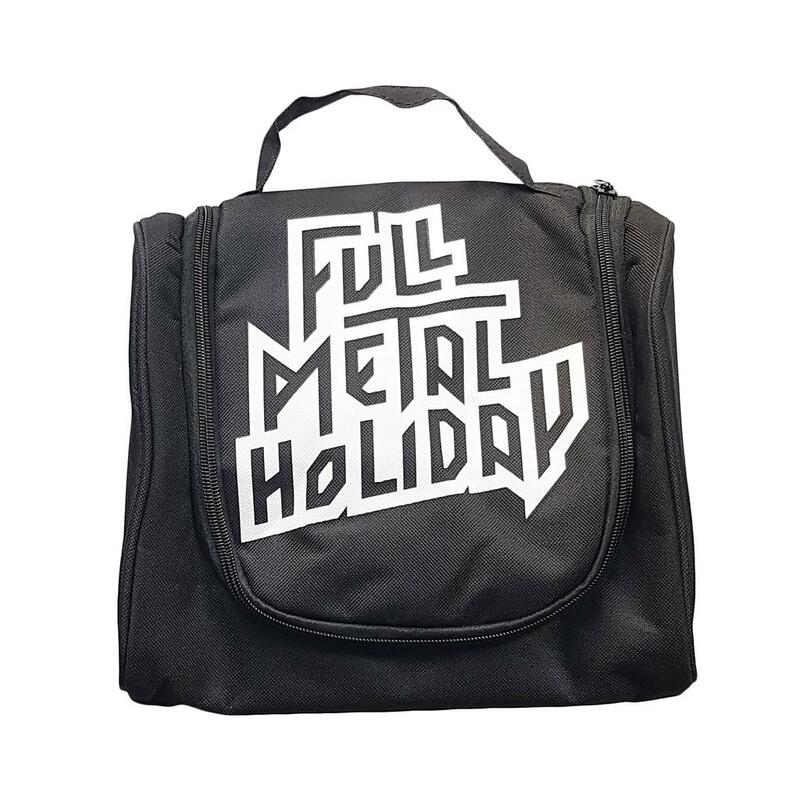 The official Full Metal Holiday toilet bag is the perfect companion for your next journey. 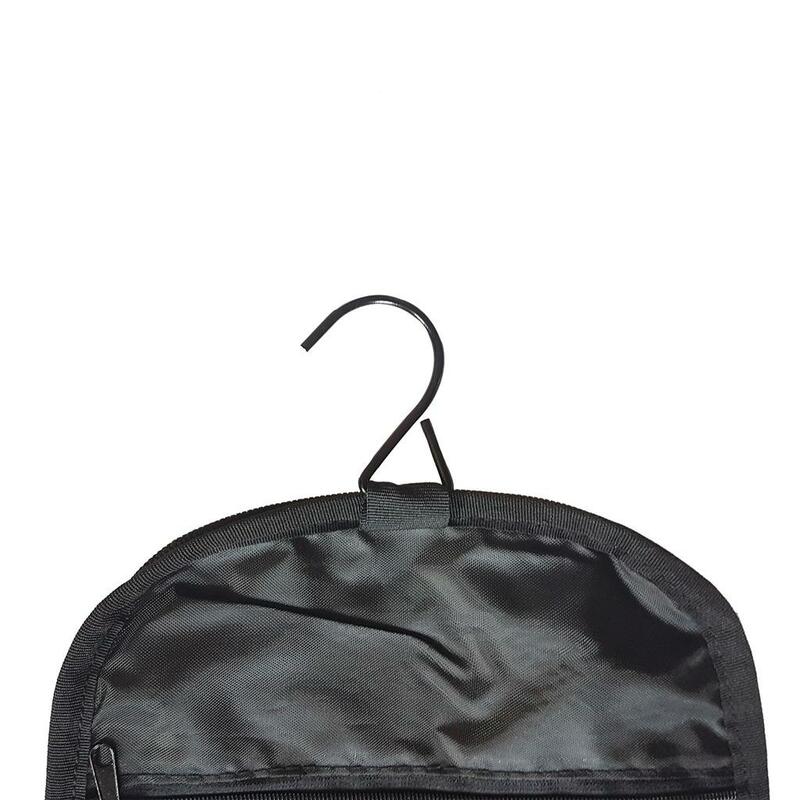 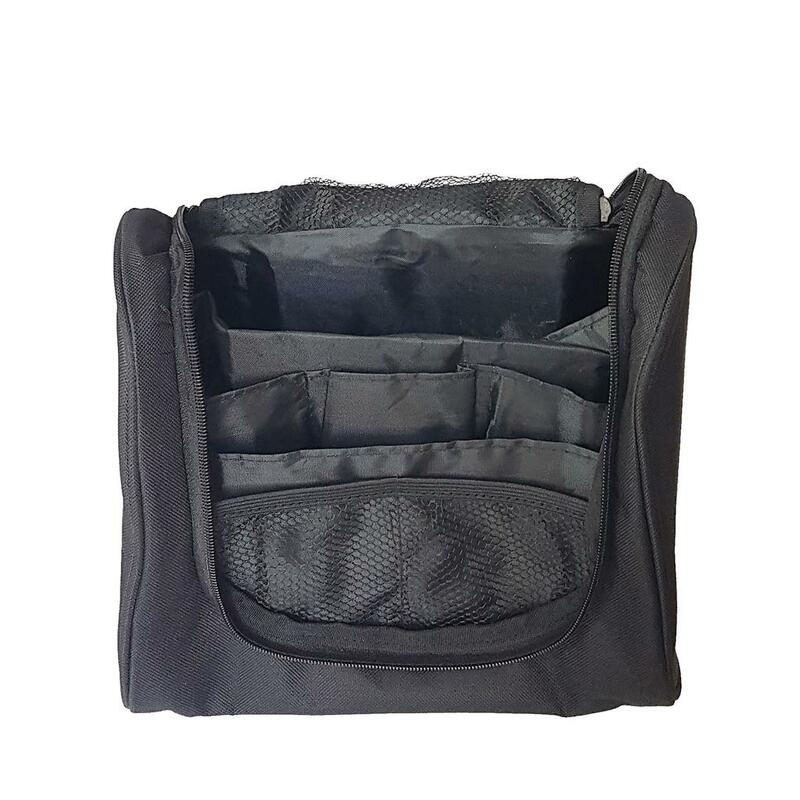 The countless pockets with different sizes offer a lot of space for all your utensils and due to the solid hook, the bag can easily be hung up wherever you want. 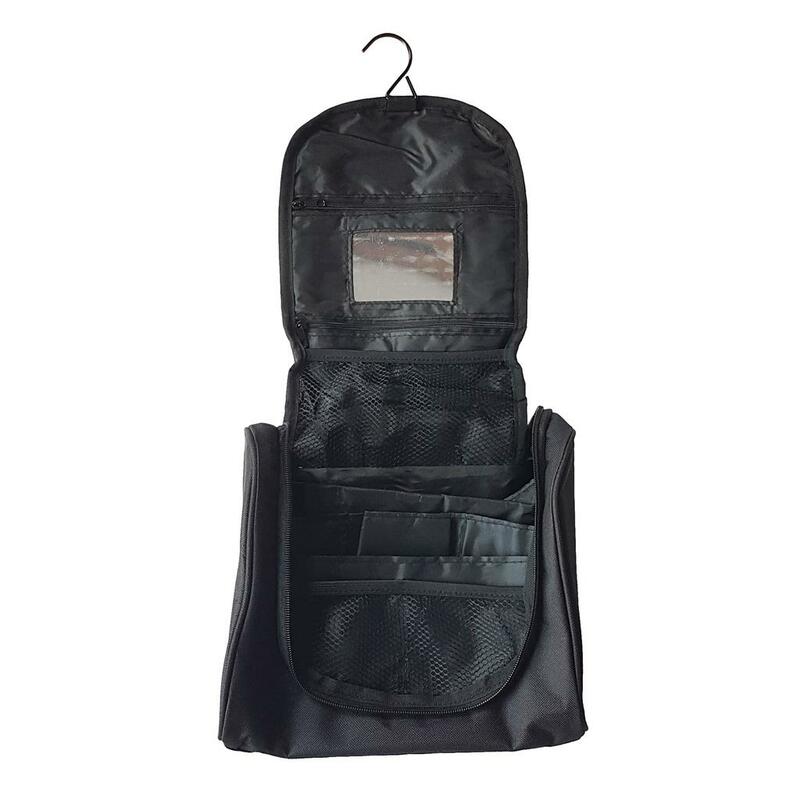 The small mirror inside of the toilet bag is the perfect extra and the large Full Metal Holiday print on the front rounds out the fashionable design of the bag.